Question: How do we honor a kohen? Discussion: Whenever a blessing is recited in public, a kohen should be the one asked to recite it. Thus a kohen is the first one to be called up to the Torah whenever it is read. At meal time, he is the one who is asked to recite Kiddush, Birkas ha-Motzi and Birkas ha-Mazon. In addition, a kohen is served first, he is asked to speak first and is generally given more respect then a yisrael or a levi. Some poskim mention that a levi is given priority over a yisrael in all of the above honors, just as he is called to the Torah before a yisrael. Other poskim hold that a levi does not take precedence at all. Question: May a kohen forego his honor? Discussion: A kohen may be mochel (lit. : release others from paying him) the honor due him (except being called up first to the Torah). The reason why a kohen may be mochel his honor is based on the Rabbinic dictum that “one honors a man by doing his will.” Since the kohen wants to bestow upon someone else the honor due him, that, in turn, becomes his honor. If a yisrael recites Birkas ha-Mazon in the presence of a kohen, he must ask for the kohen’s permission. It is not sufficient to merely say ‘bi-reshus ha-kohen’, if there is a possibility that the kohen would object. As stated above, the only exception to the rule that a kohen may forego his honor is that he must be called up first to the Torah. This is a rabbinic edict instituted by the Sages, who insisted that the kohen always accept his aliyah lest he defer to some people and not to others, and thus cause discord among members of the shul. Question: Are there any exceptions to the requirement of honoring a kohen? The head of a household is not obligated to offer a kohen guest the honor of reciting ha-motzi or Birkas ha-Mazon. If the kohen is a learned person but the yisrael is a greater talmid chacham than he, the yisrael is not obligated to honor the kohen. It is, nevertheless, proper for him to do so, and one who does so is rewarded with longevity. If the kohen is a bona fide am ha-aretz, a yisrael—who is a talmid chacham—is not permitted to honor the kehunah of such a kohen, since he is thereby degrading the honor of the Torah. The second half of the obligation to honor a kohen is the prohibition against having him perform “services” for the benefit of a Yisrae. It is forbidden to ask a kohen to serve a yisrael or to send him on an errand, etc. Even if a kohen waives his status and allows a yisrael to use his services, this should not be done l’chatchilah, and certainly, the yisrael should never ask a kohen to perform a lowly task for him like emptying the garbage, etc. For this reason, it is preferable that a kohen not enter a profession which may require his yisrael employer to order him to engage in degrading types of work. Question: When is it permitted for a yisrael to benefit from the services of a kohen? If a kohen receives payment or if he is serving a distinguished person and derives pleasure from serving him, it is permitted to ask the kohen to serve a yisrael. Similarly, if a kohen offers to serve a yisrael without being told to do so, it is permitted to accept his offer. Some poskim allow a yisrael to use the services of a kohen am ha’aretz, although not in a demeaning manner. A kohen who violates the sanctity of the kehunah by marrying a divorcee or entering a cemetery when he is forbidden to do so, etc., forfeits the privileges of the kehunah. It is not a mitzvah to honor him, nor are there any restrictions on asking him to perform services. Such a kohen is excluded from nesias kapayim as well. The poskim debate whether these halachos pertain to a kohen who is a minor or who has a blemish which renders him unfit for Service in the Beis ha-Mikdash. Question: Why are some people not careful to observe these halachos? Now that the Beis ha-Mikdash is destroyed, this mitzvah does not apply—except for those who conduct themselves lifnim mi-shuras ha-din. With the passage of time, the lineage and yichus of the kohanim have become blurred. Thus we are not positive who is a kohen. These objections notwithstanding, the majority of the poskim agree that the mitzvah of honoring a kohen applies even nowadays and we should not doubt the purity of lineage of our kohanim. 1. Vayikra 21:8. There is a dispute among the Rishonim if this is a mitzvas assei min ha-Torah or mi-deRabbanan; See Magen Avraham 201:4 and Korban Nesanel 300 (Rosh, Gittin 5:20). 3. Mishnah Berurah 201:12; Kaf ha-Chayim 167:101. 4. Aruch ha-Shulchan 201:4. This is the prevailing custom; Ben Ish Chai (Korach 14). 5. Rama 128:45; Mishnah Berurah 201:13. 6. Originally appearing in Sefer Chasidim 152. 7. Shulchan Aruch ha-Rav 128:60; Eishel Avraham 128:45. 8. Mishnah Berurah 167:75. See Piskei Teshuvos 201:3. 9. Mishnah Berurah 135:9. The custom is that even a private minyan always calls up the kohen first. See Sha’ar ha-Tziyun 12. See Igros Moshe, O.C. 2:34 and 3:20 for possible exceptions. 11. See Sha’ar ha-Tziyun 167:65 and Beiur Halachah 201:1, s.v. v’im; Aruch ha-Shulchan 201:4. 12. O.C. 167:14 and Mishnah Berurah 71; 201:12. 13. O.C. 201:2; Mishnah Berurah 167:70. 14. According to some poskim, a kohen cannot serve another kohen either. Others allow this; see Kesav Sofer, O.C. 15; Beiur Halachah 128:45, s.v. assur; Aruch ha-Shulchan 128:75; Kaf ha-Chayim 128:283. 15. Mishnah Berurah 128:175; Yabia Omer 6:22. See also the Chafetz Chayim’s opening remarks to Shemiras ha-Lashon where he rules that one who speaks lashon ha-ra about a kohen (in the presence of the kohen) transgresses the halachah of honoring a kohen. 16. Rav S.Z. Auerbach, quoted in Nishmas Avraham, O.C. 128:10. 18. Eishel Avraham 128:45; Aruch ha-Shulchan 128:72; Kaf ha-Chayim 128:282. 19. Beiur Halachah 128:45, s.v. assur. Aruch ha-Shulchan 128:72 disagrees. 21. Mishnah Berurah 282:12 and Sha’ar ha-Tziyun 15 quotes a dispute between Magen Avraham and Rav Akiva Eiger concerning this. See Emes l’Yaakov al ha-Torah, Vayikra 21:8. 22. Most poskim maintain that a kohen who has a blemish is included in this mitzvah. See, however, Minchas Chinuch 269, Aruch ha-Shulchan 128:72 and Teshuvos Avnei Cheifetz 71. 23. R. Tam (quoted by Taz 128:39); Mekor Chayim 128:45. 24. 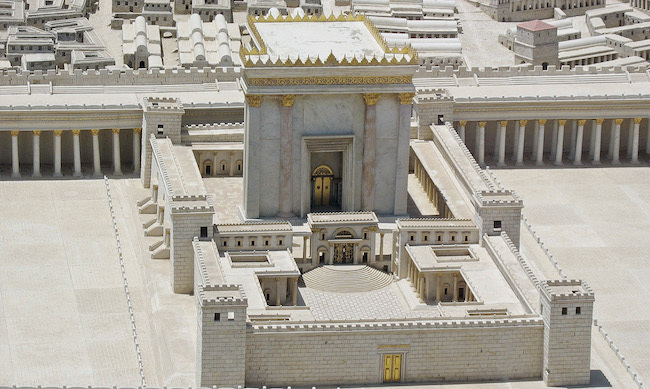 Magen Avraham 201:4. Many other poskim are also of the opinion that the kohanim’s yichus is questionable; see Y.D. 322 Taz 5 and Shach 9; Sh’ealas Ya’avetz 155; Chazon Ish, Shevi’is 5:12. See also Rama, O.C. 457:2 and Mishnah Berurah 22. 25. Mishnah Berurah 128:174; Aruch ha-Shulchan 71. See Rivash 94. 26. Maharit 1:149; Be’er Heitev, O.C. 128:83; Aruch ha-Shulchan, O.C. 128:72; Y.D. 305:55.